Mike Kaye: Hello Geeks + Gamers, and welcome to another roundtable discussion. It’s been 10 years since Iron Man kicked off the multibillion-dollar worldwide phenomenon known as the Marvel Cinematic Universe. Earth’s Mightiest Heroes are teaming up with the Guardians of the Galaxy to take on the Mad Titan Thanos in Avengers: Infinity War. Hopefully everyone has had a chance to see the movie over the weekend, because this is going to be a very spoiler heavy discussion. I am joined by two of my colleagues, Mike Calkins and Virginia Kublawi. We’ll start things off with some general impressions; how did you feel when you first left the theater? Mike Calkins: I’m honestly still collecting my thoughts, and I saw it on Thursday night. I loved it overall; it’s a film that grabs you by the throat from the beginning and doesn’t really let go. Infinity War might just be the best of the three Avengers films, and will more than likely wind up in the upper echelon of the franchise for me. Virginia Kublawi: I just got out of the theater and I’m in utter shock. This is an amazingly ambitious film, and I genuinely have to say I was in awe from start to finish. I would have to echo Mike’s sentiment, as this is probably my favorite of the Avengers movies. I really liked how the Avengers and the Guardians interacted together; that’s one aspect I was really anticipating and I really feel that they delivered. MK: As of this writing, I have actually seen the film twice, and by the time we’re finished I’ll be on my way to round 3. That should tell you how much I absolutely adored Avengers: Infinity War. It’s the first film in the MCU to me that truly captured the scope of an epic comic book event, with well over 50 characters getting at least one moment to shine, and a villain who definitely has lived up to the hype. 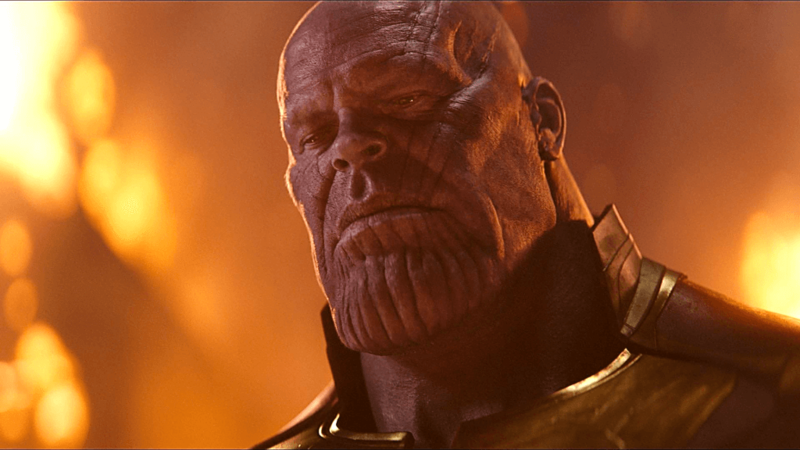 Now, since he plays a very important role in the story, how did you feel about Thanos’s arc in the film? MC: Thanos is possibly the best MCU villain to date because of how layered he is as an individual. He believes what he’s doing is right; he honestly believes that wiping out half the universe is going to make it a better place, and that’s why he’s terrifying. He’s a villain with conviction, and the will to act. He joins Zemo as being one of the only villains to actually succeed in his plan, and you can really tell how much his arc affected him just by his final scene with Gamora, when he kills her to accomplish his goal, and how much it tears him up. It’s equal parts disturbing and heartbreaking. VK: Thanos’ relationship with Gamora was fantastic, and probably one of my favorite aspects of the film. It really showed a side of him you can understand and relate to. I don’t know where he would fall among all the villains as a lot of them are good, but it’s not necessarily that important to me to compare them. A villain’s main purpose should always be to serve that specific story, and Thanos really shone in this one. MK: I’ll get the one fanboy nitpick about Thanos out of the way first: initially I found the absence of Death to be a missed opportunity, but that was before I saw how the Russo Brothers chose to replace that relationship. Putting a great deal of focus on Thanos as a father figure to an orphaned Gamora was brilliant, and even though this doesn’t necessarily make him a sympathetic villain, you understand exactly what motivated him to embark on his quest to track down all 6 Infinity Stones and wipe out half of existence. MC: Yeah, I’d struggle to call him sympathetic, but he’s a villain you can get emotionally invested in, positively and negatively. He’s a deplorable monster, but even in his own twisted way, he loves his daughter, which made that scene incredibly powerful. That whole dynamic was played out to its fullest in my opinion. I wasn’t too broken up about Lady Death not being in the film. I did hope that she would be in it prior to release, but I think they supplemented that dynamic adequately enough that it wasn’t a problem for me. His plan is insane, but in his twisted viewpoint, it makes sense to him. VK: After the film I actually got into an argument over whether he’s sympathetic or not. He reminded me a tiny bit of Killmonger just in the sense that what he was saying made sense, but wasn’t necessarily right. He’s coming from a point of view of pain, and wanting to prevent that pain for future generations. But the means to his end are indefensible. MK: Obviously, given the size of the hero roster, there has to be more bad guys to fight than just the Mad Titan. Did you find the Black Order (referred to as the “Children of Thanos” in the film) to be worthy adversaries? VK: Honestly, they were one aspect I didn’t like. They were good fighters for sure, but I just didn’t like their designs and how little we know about them. Granted, I don’t see how they could have given them anymore screen time all things considered. But in such an impressive movie, I didn’t like them much. MC: I thought they served their purpose, although it seemed like they were hyped to be more than they were prior to the film’s release. They basically exist to chase down the Stones on Earth while Thanos searches for the off-world Stones. They’re basic henchman with superhuman abilities, serving as generals in the battle in Wakanda. They are definitely the least remarkable part of the film. MK: In terms of their lack of development, I agree with Virginia in that there simply wasn’t enough room, unless the audience was willing to sit in the theater for at least another hour. But yeah, they did serve their purpose, and were actually involved in some of my favorite scenes in the film. Speaking of which, we could probably each write a novel about all the great little moments, but let’s try to pick our top 3. VK: That is a hard one. Rather than overthinking it I’ll just go with what I reacted to strongest in the cinema. Firstly, when Thor comes back to Earth with the axe and shocks Thanos’ goons. This scene had me shaking with excitement. And Bruce’s line about how they were screwed was funny too. Second would be the first time Cap and Natasha save Wanda and Vision. Finally, I would choose Thor’s conversation with Rocket about what he’s lost. That killed me. MC: One of mine is the same as Virginia’s. Thor coming through and destroying the enemies had me hooting and hollering in the theater, and I was not alone. Next would be Star Lord finding out that Gamora is dead. I’ve never seen that side of Pratt before, and that scene legitimately choked me up and scared the hell out of me. Finally, the Snap, which had my jaw on the floor and caused me to audibly gasp. That carried over into the sequence right after, when Thanos is talking to a child Gamora about whether it was worth it or not. Absolutely stellar. MK: As a huge Captain America fan, his entrance and that entire Vision and Scarlet Witch rescue scene was amazing. My audience went bananas when Steve Rogers stepped out of the shadows to the tune of the Avengers Suite. Next, I couldn’t decide on a specific moment, but I loved all of the banter between Tony Stark and Doctor Strange. It was both impressive and disappointing that they somehow avoided any and all Sherlock Holmes jokes throughout the film. Finally, I think we can all agree that the Snap was a truly unforgettable moment. It was during my second viewing that Peter’s death really hit me hard, even though we know he eventually needs to come back for a sequel to Homecoming. Did that thought ever occur to you when watching that scene unfold? MC: I didn’t really think about it when it was happening. I was too swept up in Holland and Downey Jr.’s performances to even think about it. When Peter tells Tony that he doesn’t wanna go, I think I remember my hand coming up to cover my mouth; that’s how choked up it had me. Also, Heroic Hollywood just put up a fan theory that makes that scene infinitely more disturbing: Peter’s Spidey Sense might have kicked in when he and half the galaxy was snapped from existence. I got chills from that. VK: I wasn’t thinking it about Peter in particular, but I remember having that thought specifically about the Guardians. My dad joked that they could call the next one “Guardian of the Galaxy”, as right now only Rocket is left standing. MC: That shouldn’t be funny, but it is. VK: I chuckled. Honestly, the Guardians are the ones that got me the most as far as deaths go. I teared up a little at the very end, just at the realization that they’re almost all gone. MC: Watching Groot go AGAIN was brutal, especially with Rocket right next to him, after acting like his dad the whole movie. That hit me hard. MK: I feel really bad for Rocket. In every single movie e’s appeared in, he suffered a devastating loss. First, he lost his best friend (the original Groot), then his role model (Yondu), and now Teenage Groot, who was more or less his son. VK: And in the second film, they come out and say that his lousy behavior is a direct response to all the trauma he’s been through and the fear that he has. MK: Last corpse we’ll bury before we move on: how do we all feel about Loki’s demise? Do you think he’s gone for good this time, or will he return in Avengers 4? MC: Loki’s death, while I fully expected it, hit me REALLY hard. 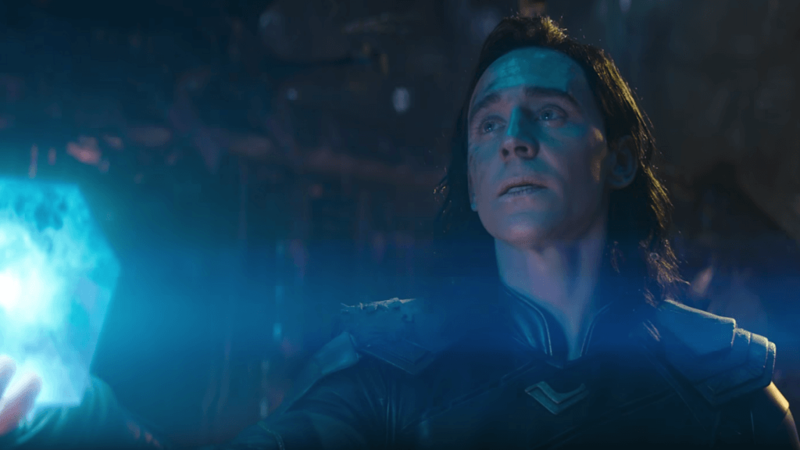 As a little bit of backstory, I pretty much uniformly disliked Thor: Ragnarok, but Loki’s death in Infinity War made his arc in Ragnarok more powerful, even if he’s kinda responsible for Thanos’ attack. 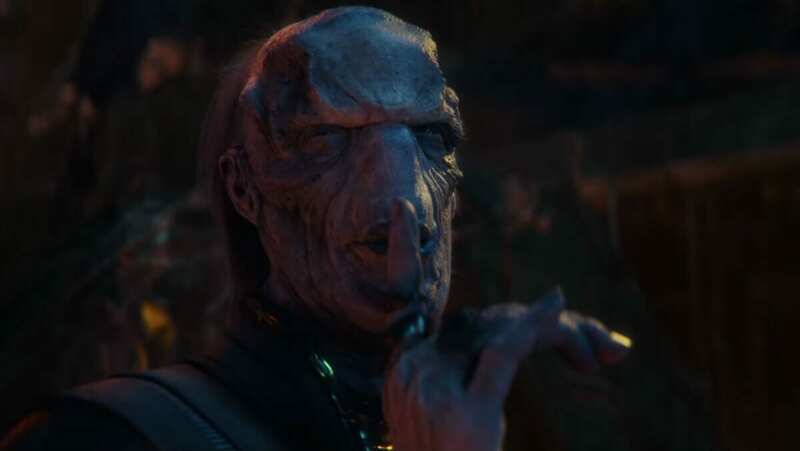 He made a *grave* mistake, but he still tries to do the right thing at the end and kill Thanos. Worse yet, it was a BRUTAL death, one of the most brutal scenes in the entire MCU. I think he’s dead this time, though. They said that there are deaths in this film that are final, and I believe those are Heimdall, Loki, and Gamora. He’s done, and I’m okay with that. VK: I was okay with Loki dying too. Thor’s response was the most emotional aspect of the scene for me. This is his last family member, dying in front of him. That’s gotta hurt. And I also agree about the deaths overall. I think the deaths in the end from the Snap may be reversed in the next Avengers film, but deaths from earlier in the film should probably stand. With Gamora, for example, if they bring her back that whole scene with the Soul Stone was pointless. MK: From a narrative perspective, killing Loki in the very beginning of the film was a great way to establish that Thanos means business. He even says as he’s finished, “No resurrections this time,” which was probably the writers promising the audience that the stakes have been raised. MC: On top of that, killing Loki establishes even deeper personal motivation for Thor. Obviously he’d be compelled to go after Thanos because he’s an Avenger, as well as the fact that he decimated his people. But killing his brother, whom he pretty much just rekindled his relationship with, right in front of his eyes while he was powerless to stop it caused Thor and his mission to be intensely emotionally charged and incredibly compelling. VK: I’m always one for a revenge story/motivation. I absolutely loved when Thor told Thanos he would die for doing that, and in the end when he repeated it. MC: That is a great point, Virginia, because the saddest part is that Thor fails in his mission to avenge his brother. Another layer of heartbreak to that ending. MK: As you can see, we all have a lot of positive things to say about Infinity War, but we’d be lying if we said it was not without a few flaws. This one in particular I don’t agree with, but can a valid argument be made that there are too many characters actively involved in the story, to the point where the film can’t always bear the weight? MC: I can see that as a valid point. To me, I think the right players got the screen time that was necessary. Thanos and Thor lead the film essentially. I don’t particularly like the fact that Civil War is barely referenced, although they obviously had bigger fish to fry. I’ve pretty much rationalized this as the people involved on Earth didn’t want to fight in the first place, so slipping back in together isn’t as big a deal. I’ll be curious to see how they handle it in Avengers 4, when Tony and Steve meet again for the first time since their fight. That and the Black Order just serving a purpose and not living up to what they were built up to be are my only real issues. VK: That one, I think, is entirely up to personal preference. I like big stories with a lot of moving parts. I like to see a large group of people struggling against a common enemy. So while I can see why people may think the film is overstuffed, I think it works perfectly. It also has a lot to do with the competency of the filmmakers. A movie can balance this many characters and subplots if it’s crafted well, and this one is. MC: The Russo Brothers and the screenwriters took on a Herculean task balancing these characters, one that I honestly thought was impossible. But they pulled it off; somehow they managed to make a coherent and GREAT superhero epic. MK: I agree, it’s amazing just how well balanced the Russos and screenwriters Markus and McFeely kept this movie, with an ensemble cast that puts the Lord of the Rings trilogy to shame. As far as references to Civil War, I don’t think we needed any more than what we got. Rhodey telling Thunderbolt Ross to get lost after ordering him to arrest Cap and his Secret Avengers was perfectly satisfying, and I understand Tony’s hesitation to call Steve Rogers after their big fight two years ago. Two characters that I would have liked to have participated more in the story were Nick Fury and Maria Hill. Yes, the post-credits scene was great, but they’re still central characters in the MCU. VK: I agree, I would have liked to see more of Fury, but ultimately I have a feeling that came down to a runtime-based decision. MC: Like I said, I wound up chalking it up to the Avengers involved never really wanting to fight each other in the first place, as the only two Avengers that had any type of animosity towards each other were Tony and Steve. Also, Rhodey telling Ross that he paid for the accords was GOLD. I also agree that I would have liked to have seen Fury and Hill in the film in a greater capacity, but I don’t know where they would have fit them in, other than in that GREAT post credits scene. VK: And how about Captain Marvel’s sigil showing up on Fury’s pager? That was a fun little detail. MK: 10 years later and Marvel still knows how to stage an exciting stinger! Speaking of stingers, we still have no idea what the title of Avengers 4 is going to be. Based on how Infinity War ends, what hypothetical ones come to mind? MC: I’ve heard Avengers: Endgame floated around, and I wouldn’t mind that. I’d love for it to be called Avengers: Assemble but they can’t do that because they used that as a foreign market title. Endgame makes sense, especially because I think that in that film we are going to get MAJOR character deaths, like 1-2 of the mainline Avengers. VK: That is an interesting question. I was hoping they’d reveal it in the end, with the “Thanos will Return” message and of course they didn’t. Endgame sounds good, or maybe something relating to Thanos personally. MK: Avengers: Endgame is a great title, but another one I’ve seen rumored is Avengers Forever. Sure, it sounds incredibly cheesy, especially in the tacky play on the number 4, but given the survivors of the Snap and some leaked set photos seemingly calling back to the Battle for New York, I’d be okay with it. MC: I’d be super okay with Avengers Forever, no matter how cheesy it is. If they do some stupid play on it and make it Avengers 4Ever, I’ll flip my desk, though. Fant4stic tried that and the comic book fan community STILL haven’t let it go, and for good reason. VK: It didn’t help matters that that’s one of the most hated films of the genre, but it is a stupid gimmick. That could be a title that people see as cheesy, or it could evoke strong emotions and memories of the previous films. It all depends on how they handle the marketing and how the film turns out. Regardless of what subtitle they settle on, I’m sure it’ll be a big hit, and I know I can’t wait for it. MC: The cool thing about both Avengers: Endgame and Avengers Forever is that they both play on the emotions of the fans. Endgame obviously conveys the gravity of the situation, and the possible doom that the Avengers will face. Forever plays it more positively, and can play more on nostalgia and positive emotions towards the franchise. I’d be fine with either title. I have a feeling it will be neither of those, though. MK: On top of that, since many people have dubbed Infinity War the “Empire Strikes Back” of the MCU, it only stands to reason that Kevin Feige, a big Star Wars fan, would want a title that gives off “Return of the Jedi” vibes. MC: I don’t even know if this is an option, but what if they made it Avengers: Earth’s Mightiest Heroes? It would be a throwback to the comics and it would be a more positive and uplifting title this time around. VK: I was honestly thinking the exact same thing about The Empire Strikes Back, especially with the way this film ended. Everybody’s separated, some are dead, and the villain is winning for now. And that would be a great name for the movie. Thor even called them that in this film. MK: Curse you, foreign markets, for taking that title too early! Alright, this has been an amazing discussion, but I think it’s time we start wrapping things up. Does anyone have any final thoughts before we go our separate ways? MC: Only that if you have yet to see Infinity War, first off, I don’t know what the hell you’re doing reading spoilers, and second…fix that! This movie is an achievement in comic book history, and it shouldn’t be missed in the theater. VK: I’ve seen a lot of praise for this film, and it’s all warranted. It’s an experience, and a test of your stress tolerance. I definitely recommend catching it in cinemas while the opportunity exists. It’s also gorgeous and looks great on the big screen. MK: I’d be remiss if we ended this discussion without mentioning the fantastic score by the legendary film composer Alan Silvestri. He did such a wonderful job not only calling back to his original Avengers theme, but also weaving in the themes for almost every other character throughout the film. That was just the cherry on top of the immensely satisfying sundae that was Avengers: Infinity War! Thank you Mike and Virginia for joining me in this discussion. I had a blast! Where can people find you on social media? MC: I’m on Twitter and Stardust @iKindaSortaNerd, Instagram @ikindasortanerdshow, and writing here on GeeksandGamers.com! MK: You guys can find me on Twitter @CaptainKaye42, on Facebook in the official Geeks + Gamers groups, and of course writing here at GeeksandGamers.com, your one stop shop for all things geek!